Canadian soldier Cpl. 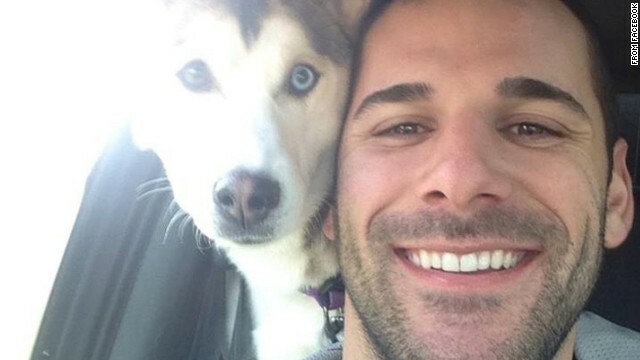 Nathan Cirillo was gunned down while guarding Canada's National War Memorial in Ottawa. Canada looks for answers after a deadly shooting in the capital. Police dogs get the latest White House fence jumper. And protests heat up in Ferguson, Missouri, after a newspaper leaks an autopsy report. Questions remain: First a soldier guarding a hallowed war memorial was gunned down in Canada's capital. Then shots erupted in the halls of the country's Parliament minutes later. The two shootings in Ottawa yesterday left lawmakers barricaded inside offices and parts of the city on lockdown for hours as police searched for suspects. Ottawa Police lifted the lockdown last night and said there was no longer a danger to the public. But still, there are plenty of questions. Are more attacks coming? Is there another gunman? Did ISIS have a hand in this? Not again! A man jumped over the White House fence last night, but he barely made it onto the lawn before he was subdued as he fought two police dogs. It's the second such incident in the last month. If you remember, in mid-September, a man scaled a fence and, armed with a knife, made it into the White House before he was detained. Tinderbox: Ferguson protests heated up again last night after the St. Louis Post-Dispatch published a leaked autopsy report that appeared to lend credence to an officer's account that Michael Brown was shot when he reached for the officer's gun. Police and protesters clashed last night, with several detentions. Is the tide turning? President Obama is "cautiously more optimistic" that we may be turning the corner in the Ebola fight. Two infected Americans are cured, Nigeria and Senegal are Ebola-free, and dozens of people who came in contact with now-deceased Ebola patient Thomas Eric Duncan didn't get the virus. Another piece of good news: Texas nurse Amber Vinson, who got the virus tending to Duncan, will soon be transferred from isolation. Destructive streak : ISIS is not only at war with the Iraqi state, it's also at war with Iraq's very identity - blowing up religious shrines, slaughtering and enslaving minorities such as the Yazidis, Christians and Turkmen, and executing its enemies. And what it hasn't destroyed, ISIS is selling on the black market. –Doggone it! Why can't I fetch a ball? I'm a dog! No, you're Duffy. - It's my party, I'll dive if I want to: A baby dives face-first into a birthday cake. Hey, you only turn 1 once. How disgusting that another fence jumper has trespass on the residence of The President of The United States of America and The First Family. Would the so-called Secret Service be more alert and vigilant if the occupants were a different family? This inquiring and inquisitive mind has a right to know. I watched the interview with Rep Wasserman from FL today. When the Rep, spoke about other terrorist acts being done on American soil I didn't know what she meant. Other than 9/11 the rest are all workplace violence, unless she doesn't agree with the administration. Nothing about voting machines in Illinois changing votes for Republicans to votes for Democrats? How about 900 supposed illegal votes in NC already? Nothing about small employers shifting employees to Medicaid (i.e., the tax payer) to avoid Obamacare penalties? Premiums to rise on Obamacare policies by 13% next year in NC? CNN, how about a little investigative journalism for a change?